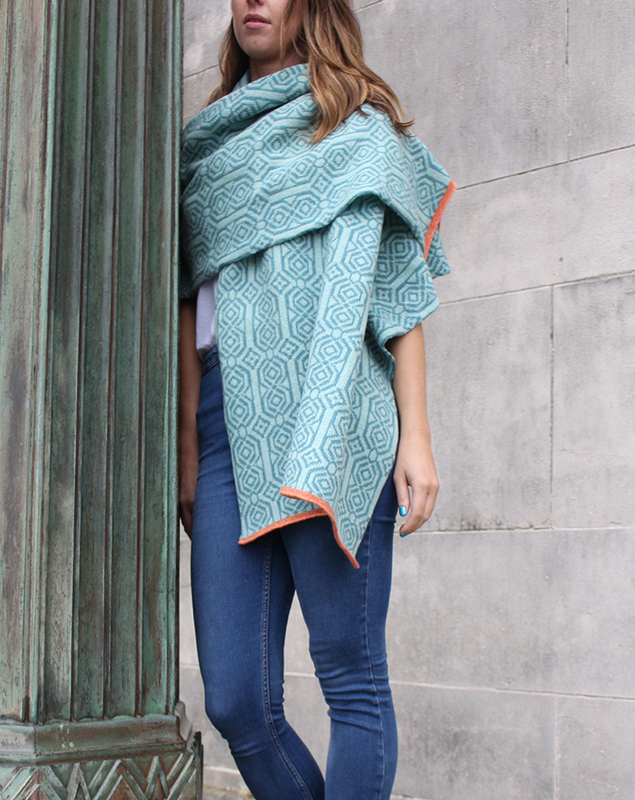 Inspiration for this geometric pattern comes from Moroccan tile prints and ceramics combined with traditional Welsh textiles. 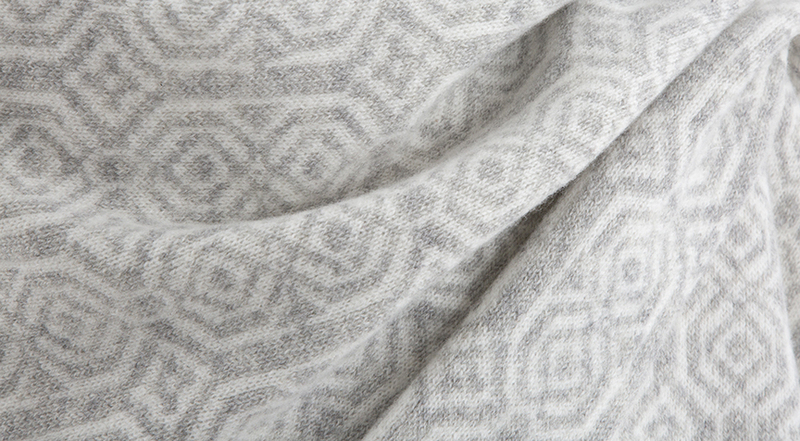 Made from the highest quality merino lambswool yarns, this wrap is a perfect accessory to dress up a pair of jeans or to wear on a Summer or Winters evening. 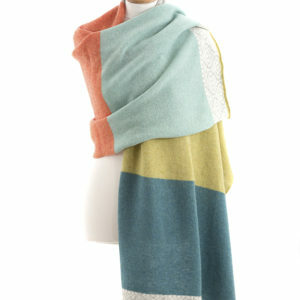 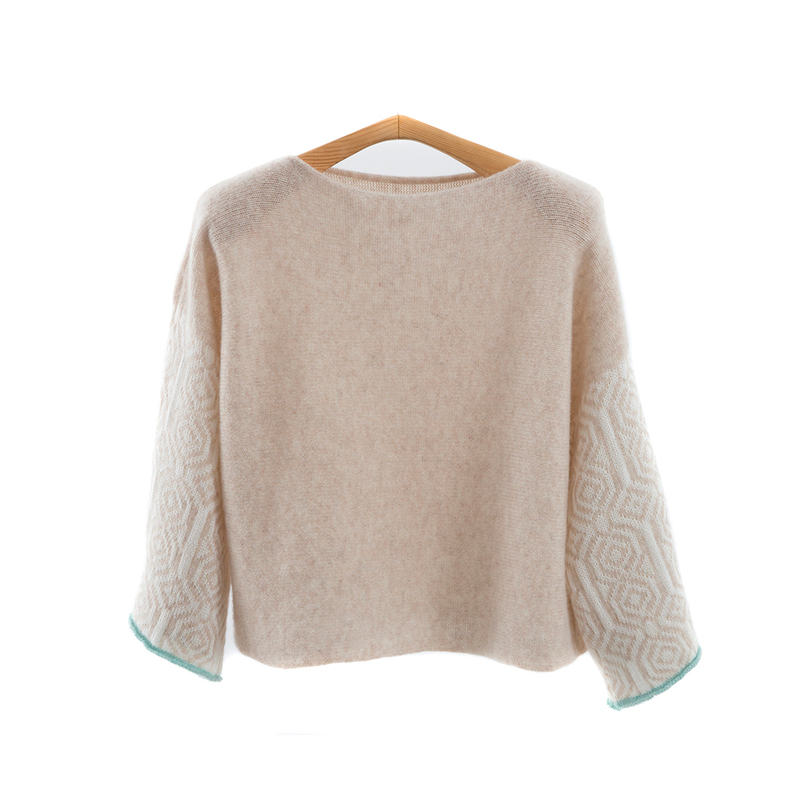 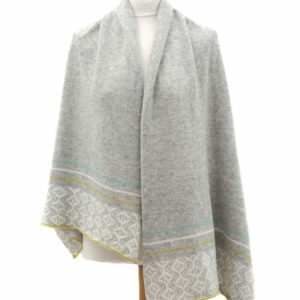 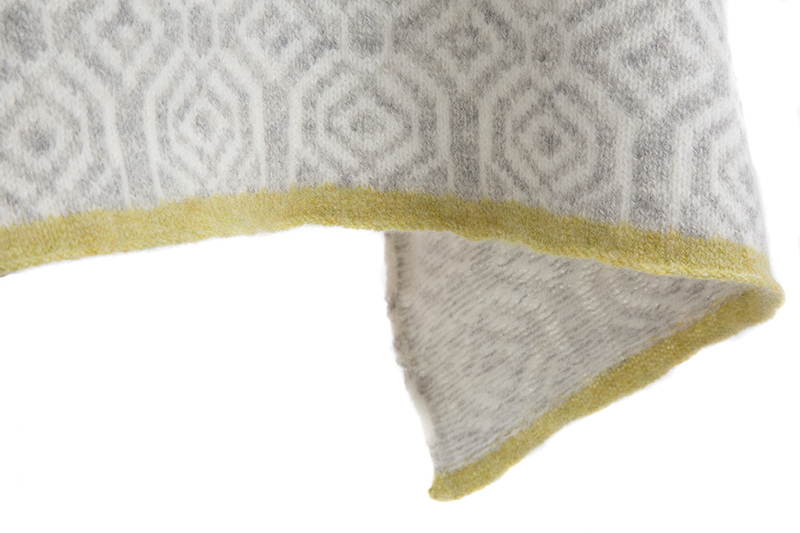 Colours of Ash grey and natural with a contrast trim of citrus combine together for a unique knitted wrap, this chunky piece will give you warmth and style, perfect for a treat to yourself or as a gift to someone special. 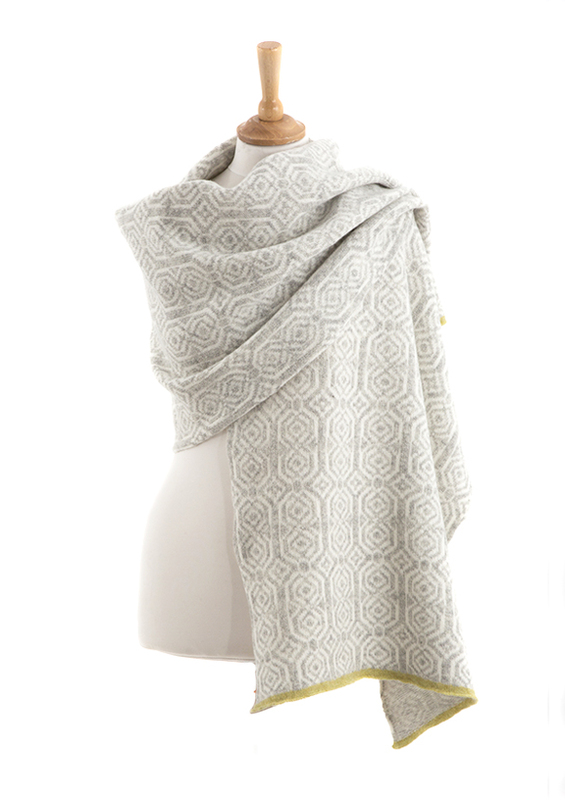 Easy to wear as a wrap or shawl around the body or folded up as a chunky scarf.